Tree Trimming In Lubbock is your Lubbock full service tree care provider. 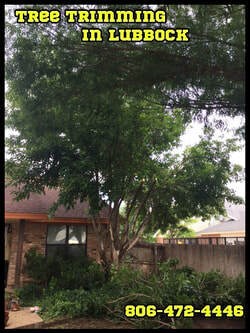 We are the leading tree trimming and landscaping services in Lubbock and beyond. We will work hard to provide you the quality service that you deserve, at the price that you need. Give us a call today now at 806-472-4446, or fill out the form on this page. No matter how you contact us we want to hear from you. We will provide you with the safety you and your family deserve. We will clear away the trees away from power lines or near your home. You can rest assured that we can take care of all your needs. Let us work together with you for your landscaping, tree trimming, or tree removal needs. Need more than just tree trimming? We have a full list of services to take care of all your tree and landscaping needs. No problem is to big we can't handle. No job is to small that we won't come to help. We want to offer you with the yard and tree care you need, at the price you deserve. Call us for all your tree and landscaping needs.